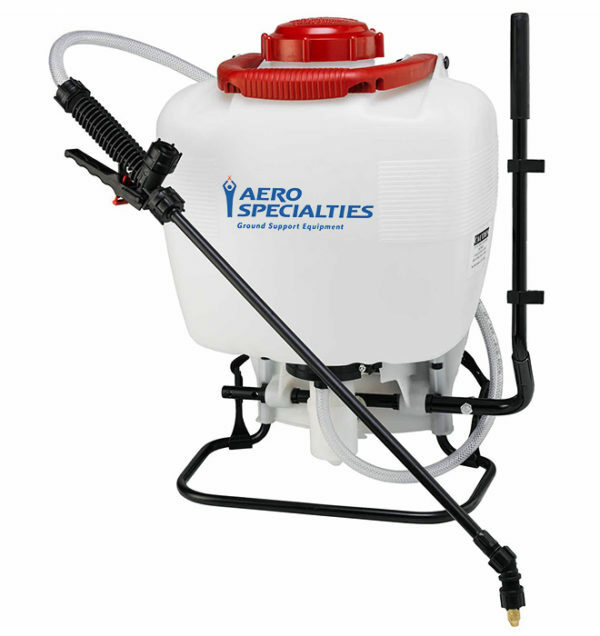 Our 4-gallon backpack-style deice/anti-ice sprayer is specially equipped for simple aircraft deicing operations. Unlike typical backpack sprayers, it is specifically engineered to handle Type-4 deicing fluid, ensuring that the unit will not clog during critical moments on the ramp. This unit features four adjustable pressure settings, and is capable of producing up to 60 psi. The high-density polyethylene tank features UV inhibitors, so you can be sure it will stand the test of time. Four adjustable pressure settings: 15, 30, 45, and 60 psi.